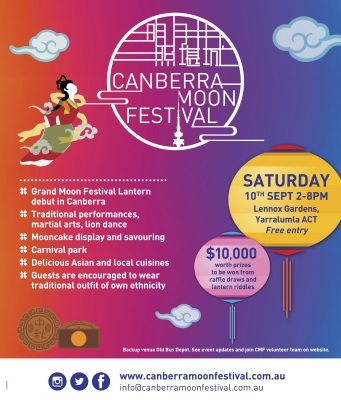 The launch of Canberra Moon Festival (CMF) 2016 is the first massive outdoor cultural celebration event presented by major local Chinese communities. It is set to be an annual event from 2016 on inviting all Canberrans and visitors from surrounding regions to experience, share and carry on the Moon Festival tradition. 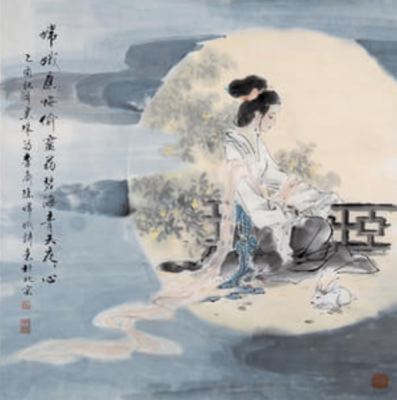 Moon festival is the second largest festival in China next to Chinese New Year. It is also celebrated vastly in Malaysia, Vietnam, Philippines, and by ethnic Chinese across the world. The festival is held on the 15th day of the eighth month in the Chinese lunar calendar. 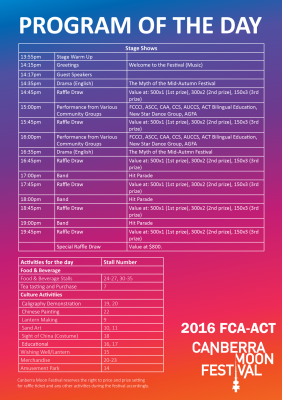 CMF 2016 is organised by CMF committee and supported by many Canberra local Chinese communities. This year the launch is expecting to accommodate approximately 800 families, a crowd of 5000 people in total. Public parking is available throughout the Market area. Normal bus timetables will apply. 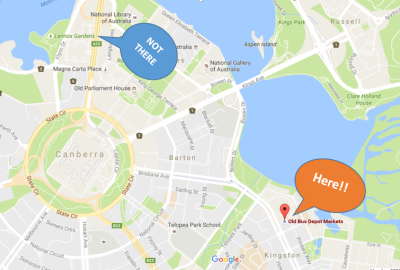 Please call ACTION Buses on 13 17 10 or visit www.action.act.gov.au for more details. register your interest on Eventbrite. For Facebook users having marked interested/going on Event calendar, you are also encouraged to do so. is also included for you when purchasing at certain stalls. There will be sercurity guards at your service for lost and found and general security concerns. Please see parking and transport information here. The event holds a strict policy of no alcoholic drinks on site. No alcohol will be for sell at the event. You will be notified via Eventbrite email registration and from our social medial channels if there is any change to the date/time/venue due to unsatisfactory weather condition or other unexpected emergencies. You are encouraged to carry with you some warm layers in case it gets chilly at dusk. On a day of light shower, please bring a rain poncho. A picnic matt is encouraged for each family due to limited number of tables and seats. The event is positioned to be family friendly and has a list of fun programs and activities specially for children to enjoy and learn at the same time. You are most welcomed to bring your kids, high spirit and good appetite. This event holds a strict policy of no pets on site. Apologies you will have to leave your best friend at home. Hi there, this is CMF committee group. Additional questions will be answered here and this is a blackboard where we will put our newest movments about our event. 05 Aug - Launch of CMF Website, YAY!  05 Aug - Vote your favrourite logo starts. 13 Aug - Voting close. 20 Aug - Sponsor application close. 23 Aug - CMF official logo annoucement. 05 Sep - Vendor confirmation sent. 09 Sep - Rainy day notification. 10 Sep - Event DAY!